In these uncertain times, any scheme that guarantees you an income can sound like manna from heaven, and it’s easy to see why many landlords are attracted to ‘Guaranteed Rental Schemes’ offered by letting agents. On the face of it, the schemes seem to offer peace of mind and take all of the hassle out of being a landlord. It has to be worth the fees, in exchange for peace of mind, doesn’t it? Basically, a guaranteed rental scheme involves a landlord signing over a property to a letting agent in return for an agreed fixed amount, and for an agreed period of time. The agent has to take care of letting the property, and they keep any profit they make after they’ve paid you. Sounds perfect? Well, there’s more to it than meets the eye and some unscrupulous letting agents have been taking advantage of the uncertainty in the housing/lettings market and making money from worried landlords. The first issue is that you may have to trade peace of mind for making less money from your property than it’s potentially worth in rental income. Although you have the safety net of knowing that your property is making you an income whether it’s occupied or not under a guaranteed rental scheme, at the same time you might find that the monthly payment won’t be as much as you could make on the open market. Essentially, you’re paying the letting agent to take on the risk of not being able to let the property, and that’s always going to be reflected in your fee. You hand over the responsibility of keeping the property occupied to someone else under a guaranteed rental scheme, but you still have the usual landlord’s responsibilities, such as health and safety. Most schemes do cover the cost of everyday repairs and maintenance, but you will have to check the small print. Bear in mind that a letting agent is in business to make a profit and the costs of any extra will be reflected in your monthly payment from the agency. You’ll have to pay the usual leasehold fees such as ground rent and service charges if applicable too. Thinking of Taking up a Guaranteed Rental Scheme? The first thing you need to do is shop around. Don’t just go to the first agent and sign up straight away. When you have an idea of the amount of income you could generate from letting your property through a guaranteed rental scheme, have a long hard think about whether you can afford to take the hit financially. According to the Association of Residential Landlords, a landlord can expect to make 20 – 25 per cent less through this type of scheme than they could if they let the property themselves on the open market. Check the length of time you’re signing up for, too. It’s better to opt for a shorter term agreement so that you can switch agents if you’re not happy. Most agreements start at around a year but some give you up to five years – and as we all know, a lot can happen in the housing market in five years. 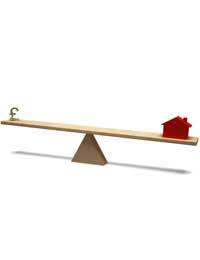 You also need to thoroughly research the letting agent you choose, and the agreement they offer. Make sure that they don’t deduct anything from your guaranteed income, too. Find out where the letting agent intends to source their tenants, and what type of security checks they will go through. Most reputable agents will reference and credit check potential tenants as a matter of course, and you need to know that your property will be looked after by whoever they place in it – it’s your investment after all. There’s no reason why you shouldn’t opt for a guaranteed rental scheme if you want to choose the security of a regular income over a larger profit. It just pays to know what you’re letting yourself in for!